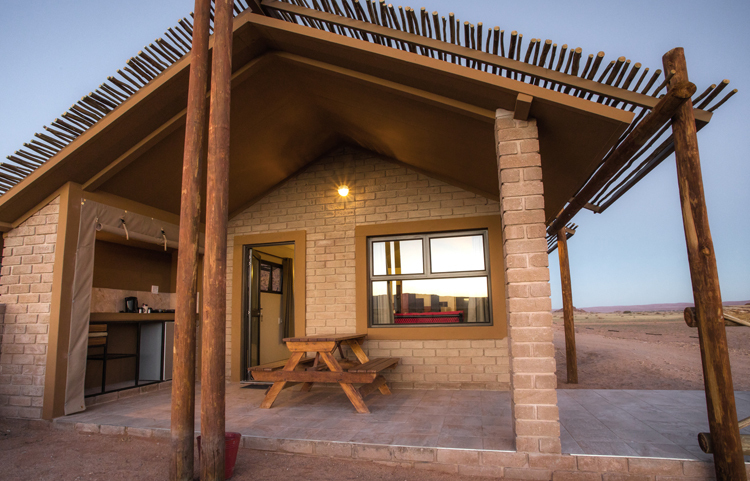 Do you have dates in mind for your visit to Sossusvlei? 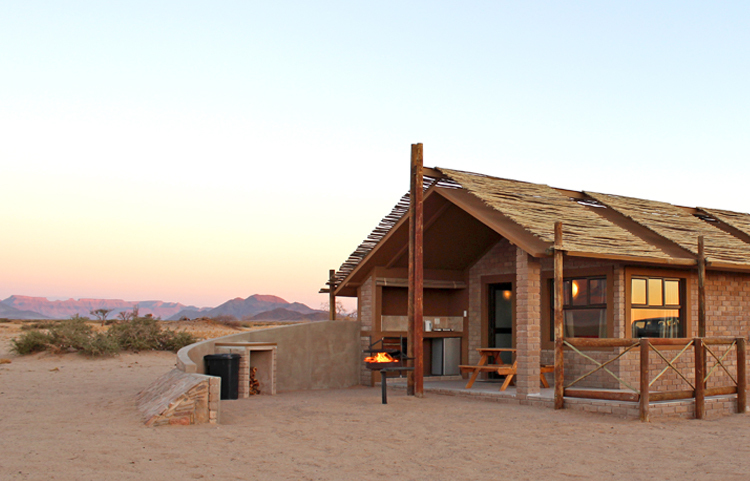 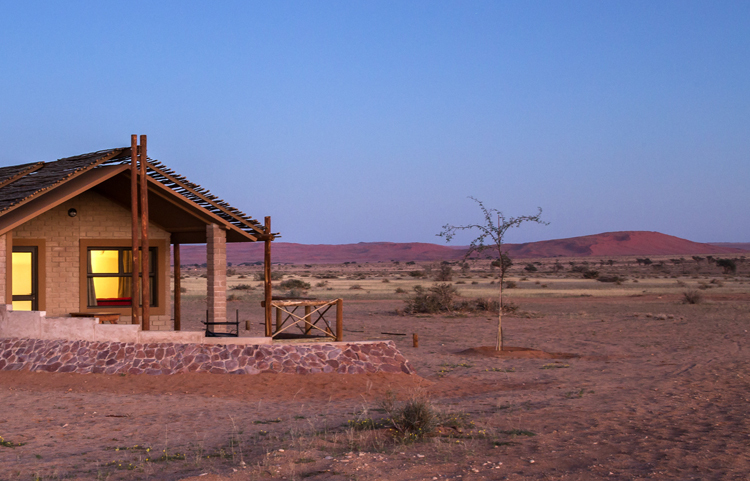 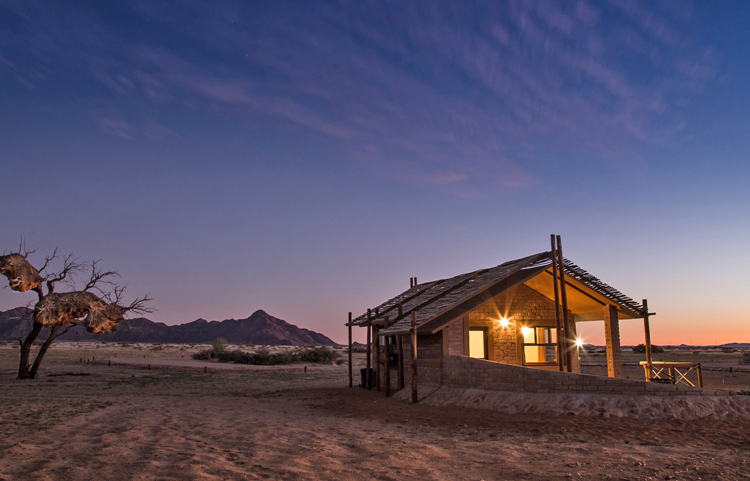 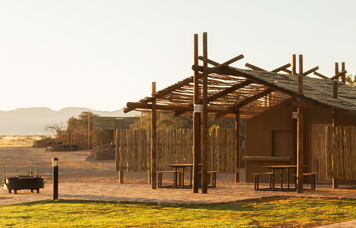 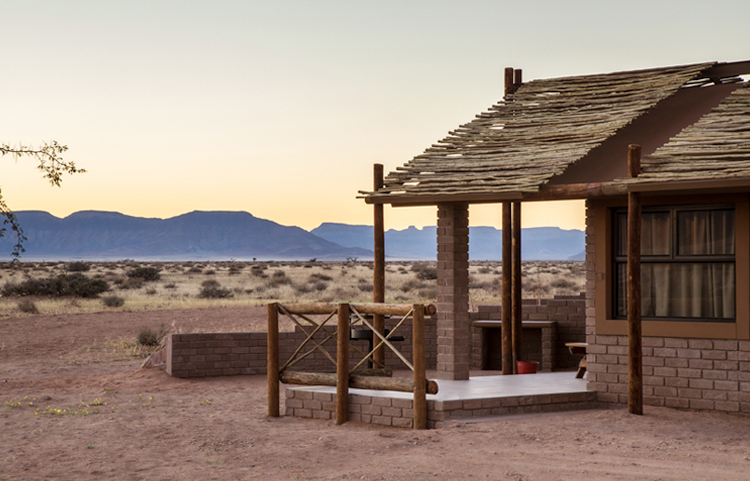 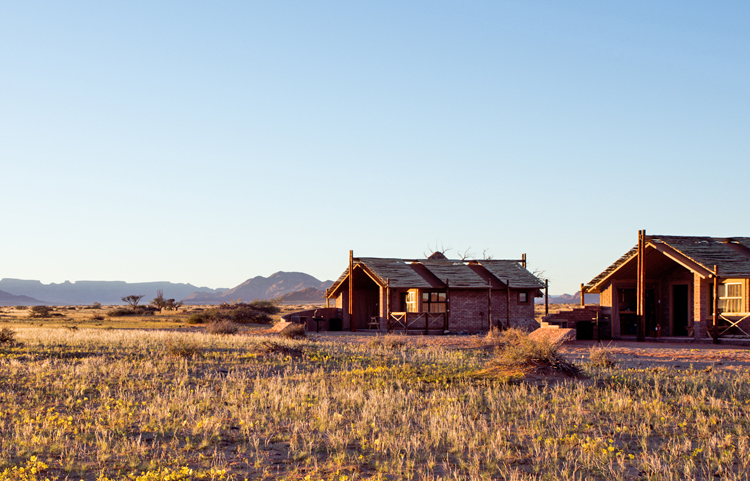 The 28 individual self-catering accommodation units at Desert Camp are uniquely designed to blend in perfectly with the natural surrounding environment. 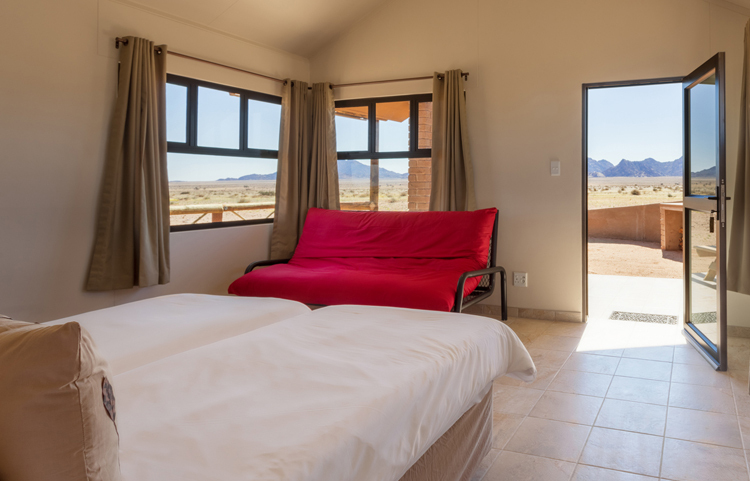 Each spacious air-conditioned bedroom feature twin beds, space for suitcases and a fold-out sleeper couch where two small children under the age of 12 years can be accommodated free of charge when sharing the room with two full paying adults. 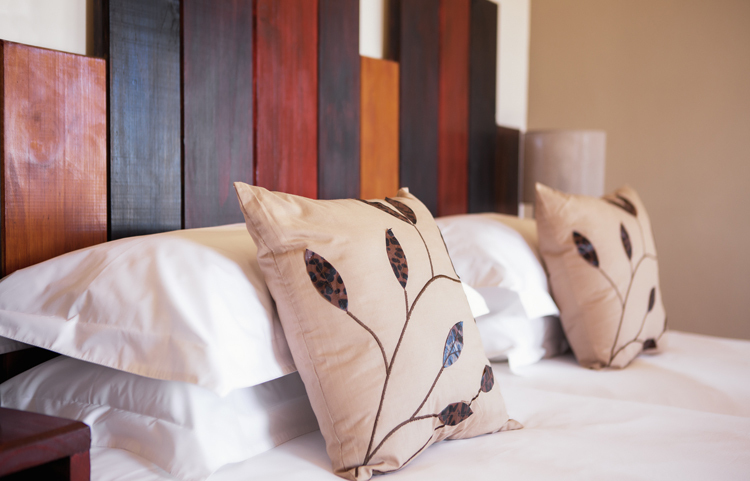 Please enquire with your booking to ensure preparations are made as required. 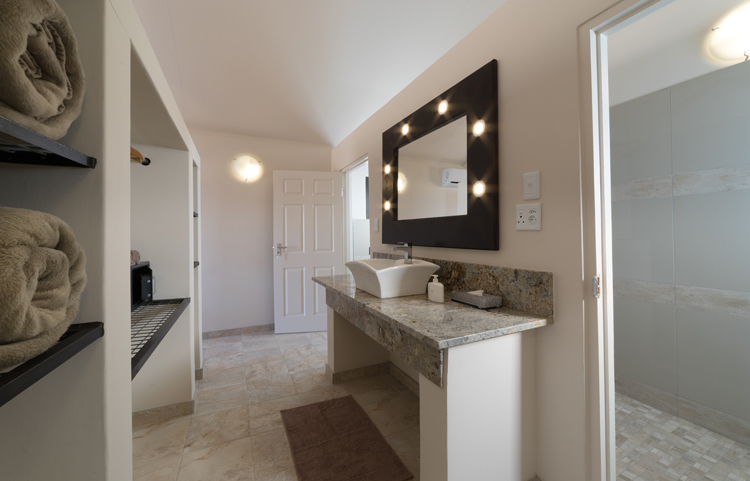 The en-suite bathroom comprises of wash basin with large mirror and vanity space, shelves and hanging space, an electronic safe as well as a separate toilet and spacious walk in shower. 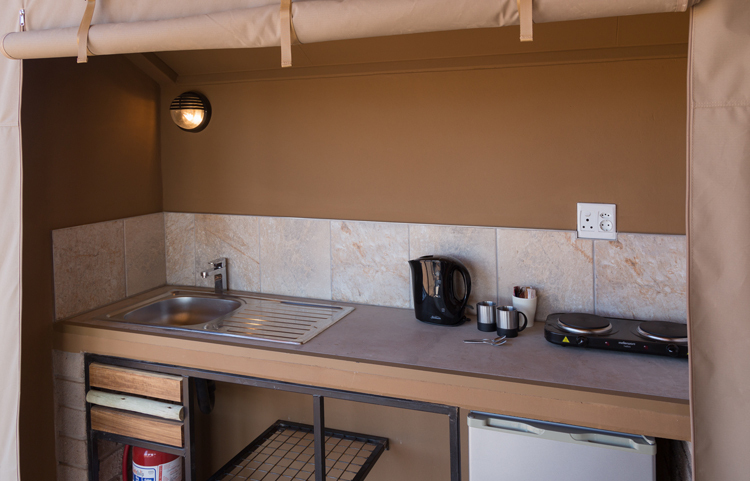 On the outside the patio features a fitted kitchenette with wash up area, under counter fridge and 2-plate hob that is enclosed with a zip-up canvas cover. 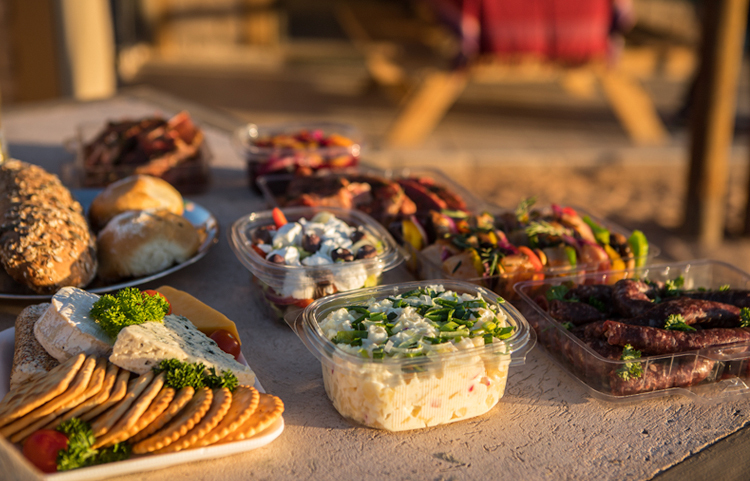 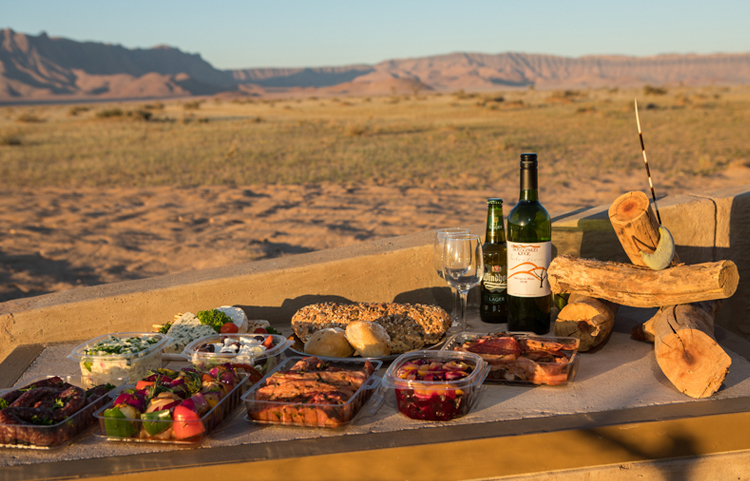 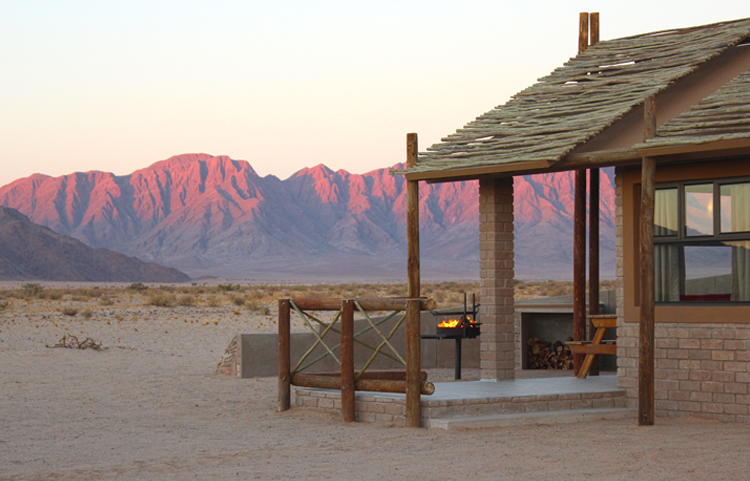 The barbeque facility and wooden bench for seating is ideally situated to enjoy the incredible views over the Desert landscapes and surrounding Naukluft mountains. 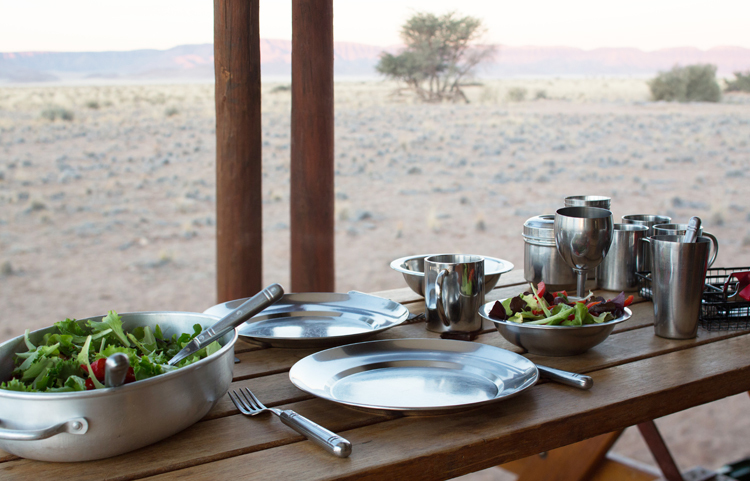 Utility boxes with most utensils needed for self-catering are available at reception and fresh food supplies can be ordered daily. 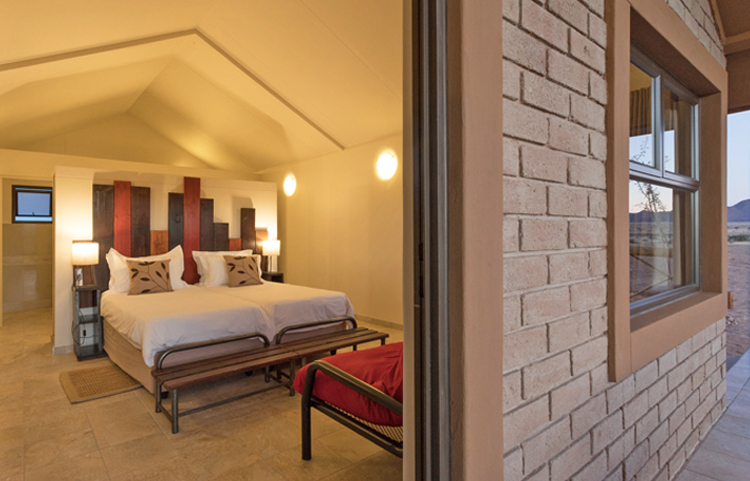 Two handicapped and wheelchair friendly units are situated closest to the main building and accessible from a cemented path. 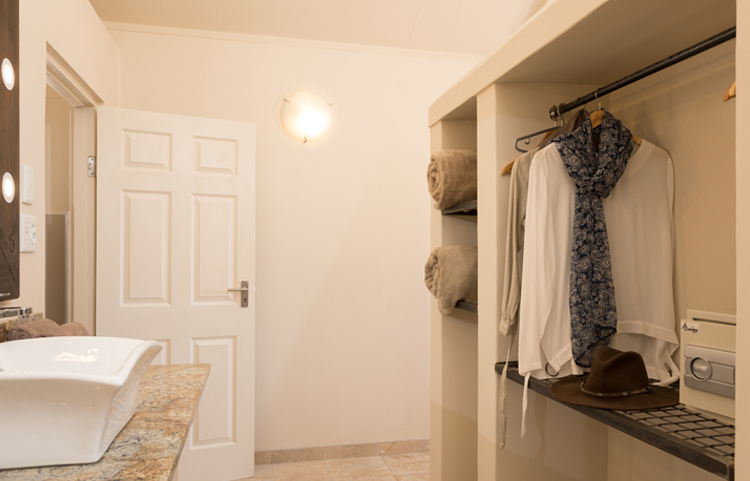 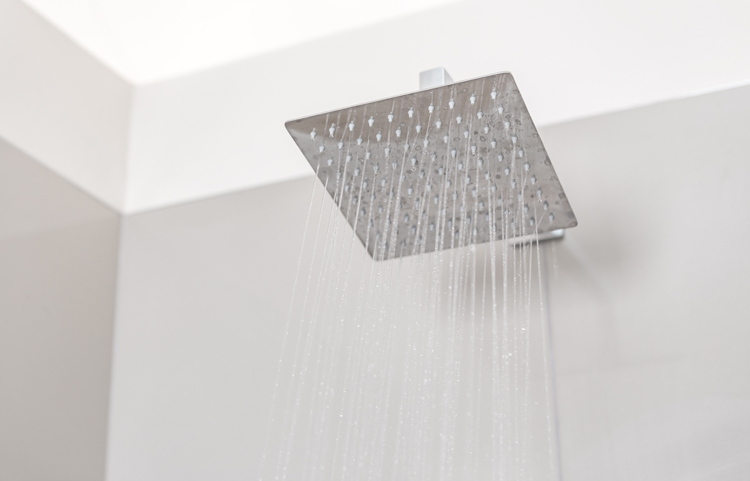 These units have no steps and the showers and toilets have handles for easier accessibility. 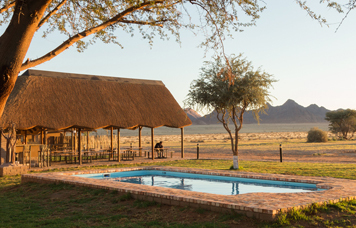 Please note that we do not offer Wi-Fi at our units because we want our guests to slow down, pack away their electronic devices and enjoy the tremendously beautiful landscape and wildlife that surrounds them. 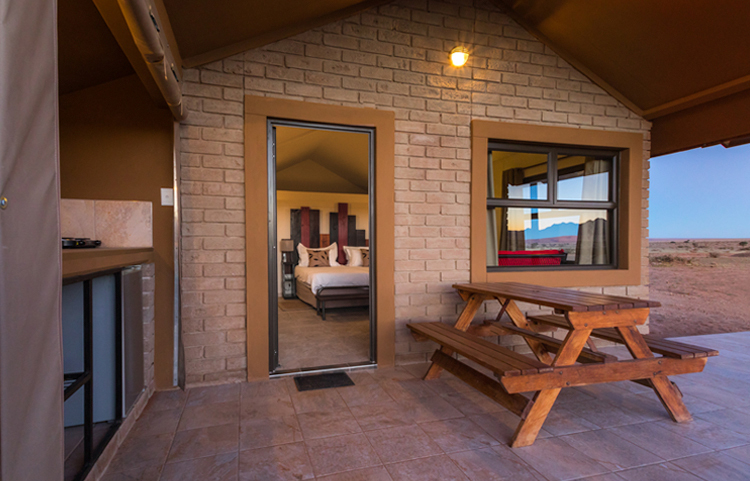 For those that need to work or wish to connect with friends and family, Wi-Fi is available at the Bar and Pool area. 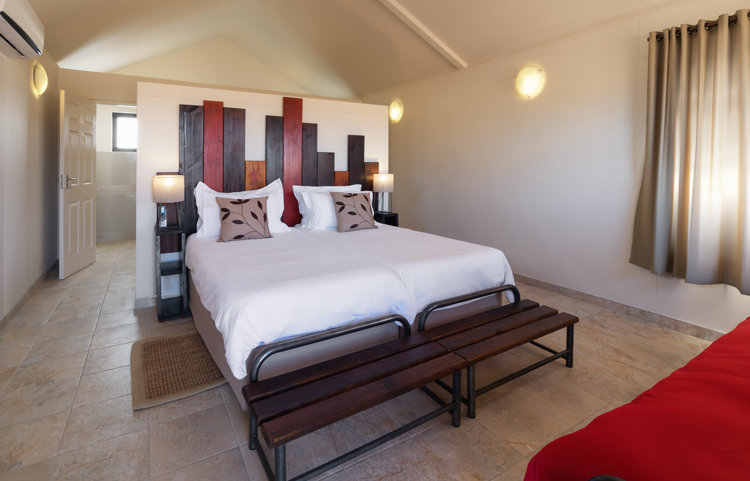 Facilities at the main building include a refreshing swimming pool, large bar area with a television and wi-fi access as well as 2 communal boma-areas for groups. 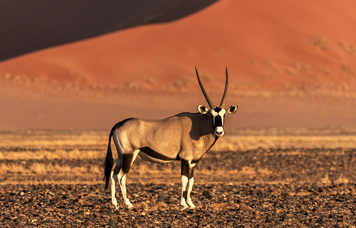 Want to visit Sossusvlei and the Namib Dunes?